The Web Preview tool allows users to browse files and view shared items in the web portal and on mobile devices, without needing to fully download content. The Web Preview tool is hosted within eFolder’s server environment; however, private cloud partners can utilize the Web Preview tool by pointing to eFolder’s Web Preview Server. These settings can be configured within the administrative web portal. For more information on the Web Preview tool, please reference the How to Use the Web Preview Tool Knowledgebase article and video. Note: Future releases of this feature will enable private cloud partners to operate and manage the Web Preview tool in their own isolated environment. The eFolder Anchor Server sends an HTTP PUT request, which includes file data encrypted through TLS, to eFolder's hosted Web Preview Server. This request is processed for verification and authentication through NGINX. This request is then broken down into a work file. The work file is then sent back to the eFolder Anchor Server, encrypted through TLS, as HTML5-rendered content. Note: While the file is on our eFolder-hosted Web Preview Server, it will remain encrypted and cached for a maximum of 24 hours before it is wiped. Click the Settings tab, and then click the Web Preview button. In the Web Preview Settings page, click the Use eFolder Server radio button, and then use the drop-down menu to select the server most closely matching your environment’s geographic location. The Web Preview Host field and the Web Preview Port field will populate based on your selection. 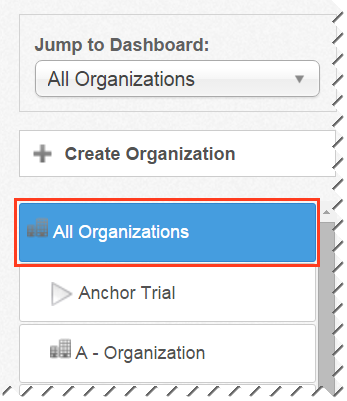 After your server settings are configured, you can then turn on the Web Preview policy for individual organizations. This policy can also be set when creating new organizations. In the appropriate organization, click the Settings tab, and then click the Policies button. The Organization Policies page displays. In the User Settings section of the page, click the Enable Web Preview checkbox.